Brighton have extended the loan spell of West Brom striker Chris Wood until the end of the season. The 19-year-old's previous deal expired at the beginning of January, but he will now be available for Saturday's FA Cup third-round tie with Portsmouth. The striker has played six times for Brighton, scoring on his debut in a 2-2 draw at home to Bristol Rovers. 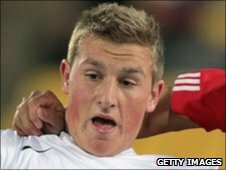 Wood, who earlier spent time on loan at Barnsley, played three games for New Zealand in last year's World Cup.